I would like to welcome everyone to my website. My love for animals and the need for taking care of them is my life’s passion. It started from hamsters and guinea pigs. And then it was my first dog Skrapi standard Dachshund short haired without a Pedigree. He made me feel the love for Dachshunds. With him I moved to Mazurian Lakes to have a stable, and there he was buried after 15 years of his life. 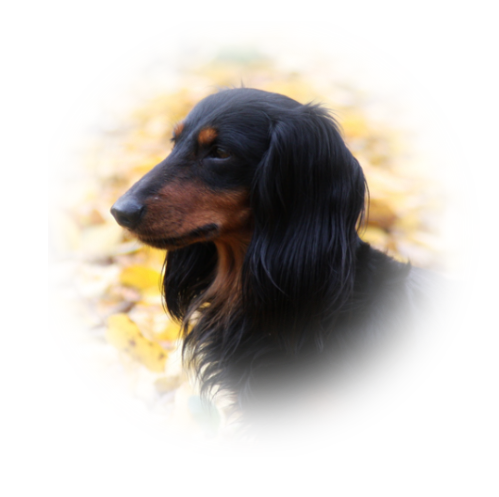 I have started my adventure with kynology along with my loving dog FRED FLINSTON Brzdac - miniature Dachshund long-haired . 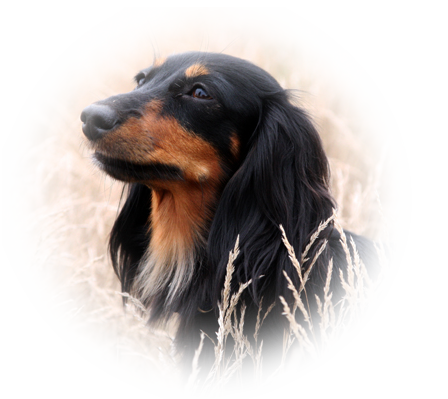 The only thing missing for my breeding and to be happy was a female and that’s how became SZNURECZEK Brzdac - rabbit Dachshund long haired named Wilma. However during the dog show I always admired the beauty and greatness of standard Dachshunds long-haired and finally I fulfilled my wishes and EMPATIA Dagi Dog appeared. And that’s how it was from 2003. My breeding was officially registered in 2008. It is not a long time but it’s worth it especially when you look into those smart, loving Dachshund’s eyes the World becomes more beautiful.